When a major new phone debuts in the US, the media often shows up to document its launch. The last thing that a phone manufacturer wants to hear is “the lines here are small on day one,” it casts a negative light on a very important day. Microsoft, never a company above working a media edge for a product release (do you recall the launches of Windows 1.0 and 95? ), has conspired a strategy that will all but guarantee lines around the block on the big day for Windows Phone 7 in both California and New York: free tickets. No, not lottery tickets, but concert tickets to two shows on the 8th, the same day that the phones will be released here in the United States. Who is playing? Katy Perry in New York, and Maroon 5 in San Francisco. If only we all had Microsoft’s budget, right? People have to queue to get the tickets from an AT&T store in San Francisco or NYC, and as the tickets are first come first serve, it should create and extra crush of people waiting for the store’s opening. Microsoft does not like leaving things to chance, and solid crowds (at least for stores in the most technology drenched cities) are now all but certain. 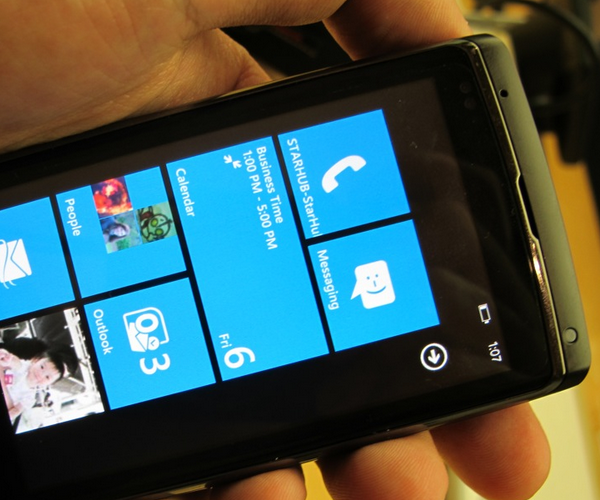 If you live in SF or NYC and want to get in on the action, you can find the rules on Windows Phone 7’s Facebook page.